9. Sayyiduna Allama Hulaimi (alaihir rahmah) has stated that, “To honour Sayyiduna Rasoolullah (sallal laahu alaihi wasallam) is the path of Imaan. The status of reverence is much loftier than affection. Therefore, as we have affection of our parents, children and friends, we should have a much loftier degree of reverence for Sayyiduna Rasoolullah (sallal laahu alaihi wasallam)”. He then proceeded to quote from the Quran and Ahadith and stated further, “This was the practise of the Sahaba for they had witnessed Sayyiduna Rasoolullah (sallal laahu alaihi wasallam) with their very own eyes. Among the ethics of our times is that whenever we hear or see the name of Sayyiduna Rasoolullah (sallal laahu alaihi wasallam), we read the Durood Shareef”. 12. Sayyiduna Allama Haafiz Shamsudeen Sakhaawi (alaihir rahmah) has recorded the following statements attributed to various eminent Mashaa’ikh. a. The excellent route on the path of Imaan is the recital of the Durood Shareef. b. If one intends to show gratitude for the Divine rewards that has been bestowed, then the best manner of doing this is to read the Durood Shareef. Many gifts which we have received are also through the generosity of Sayyiduna Rasoolullah (sallal laahu alaihi wasallam). 23. 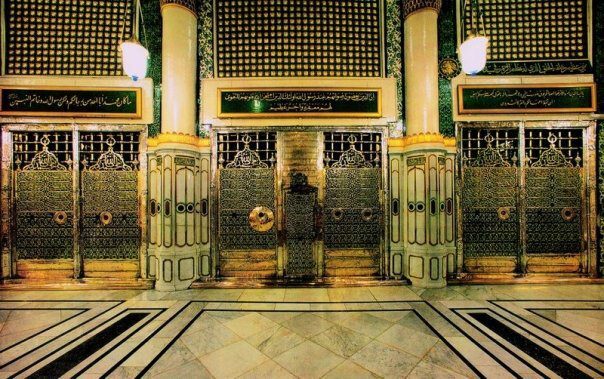 Sayyiduna Khwaja Hassan Basri (alaihir rahmah) has stated that, “He who desires to drink in abundance from the Fountain of Kauther should read the following Durood Shareef, ‘Allhumma salli ala Muhammadiw wa aalihi wa ashabihi wa azwajihi wa awladihi wa zurriyaatihi wa ahli baytihi wa amhaarahu wa ansaarihi wa ashyaa’ihi wa majislihi wa alaynaa ma ahum ajma’eena Ya arhamar Raahimeen'”. 29. Sayyiduna Kaab Ashaabi (alaihir rahmah) has stated that, “Verily no day passes without 70 thousand Angels presenting themselves at Masjid-un Nabawi and busy themselves all the time with recitation of Durood Shareef and Salaam. When evening arrives, they return towards the Heavens. This procession of Malaa’ikah continues daily and will continue till Qiyamah. On the Day of Qiyamah, Sayyiduna Rasoolullah (sallal laahu alaihi wasallam) will arrive with 70 thousand Malaa’ikah and proceed towards the plain of Mehshar”. 31. Sayyiduna Shaikh-e-Akbar, Shaikh Mo’inudeen ibn Arabi (alaihir rahmah) has stated that, “Those who claim to love and revere Sayyiduna Rasoolullah (sallal laahu alaihi wasallam) should increase their recital of the Durood Shareef in patience and perseverance until, through the Mercy of Sayyiduna Rasoolullah (sallal laahu alaihi wasallam), they have the opportunity of witnessing his Blessed Countenance”. The closest to me on the Day of Judgement will be the one who recited the most Durūd upon me in the duniyah. This will be sufficient to drive away your worries and shall be redemption for your sins. mashaallah thanks for the darood sharief article on aashiq e rasool. i sincerely urge you to please keep on writing such artilces and do not discontinue them. I also support ur comment. Thank you so much for the knowledge I have received from reading you publications. may be there are printing mistake in no:16. where write he will not achieved closeness to Almighty Allah,….he will.